I read all the comments regarding how well this item worked; and since I don't have a dishwasher I was apprehensive. However, my caps needed cleaning, and I was tired of scrubbing them by hand. So, one cap at a time I snapped them into the holder, placed them alone in my washing machine in mid-level cold water, delicate cycle and both times the caps came out clean as can be! The cap holder didn't break, my caps were perfectly clean, and I am a happy camper having made this purchase!!! The two that I had for 20 years finally gave up the dust and broke all to pieces with age. These are wonderful for mens caps. Purchased this for my daughter, who wears many of these kinds of caps and she loves it. Now she has clean hats that she ordinarily would have probably thrown away! Great item. A great way to get ball caps clean. This is a requested gift that replaces an older cap cleaner our grown son had that finally died after several years of use! easy to use just clip your hat in and throw it in the washer. The cap cleaner works exactly as described. Just place a cap inside, close, put it in the dishwasher and the cap comes out clean and in perfect condition and shape. I had wondered about these cap cleaners for a long time, but after reading reviews i decided it was worth a try. One of my husband's favorite caps was dirty, discolored, sweat stained, and had fallen into the laundry room waste basket. I was going to throw it out. I ordered this but was very skeptical. I put his cap into the frame and tossed it into our front load washer with some dog bedding. I fully expected it to come out of the washer still stained and that the hat would be out of shape and ruined. I was amazed to have the cap come out looking brand new! I let it sit in the frame to dry and it now looks perfect. Lots of other hats will be getting rescued next. This cap cleaner allows you to toss your caps into a washer and/or dryer, keeping its shape and form. This product has protected many of my husband's caps and he love it! Thank your for offering this item. It is generally hard to find. Every cap wearer NEEDS this item for keeping them clean. I purchased 2 of these for my sister to use to keep my brother-in-laws MANY baseball caps clean and nice smelling. I would recommend this cap cleaner to anyone that has caps! I use two of these at one time in the washer and then set the caps out to dry while in the cap cleaner. Caps hold their shape nicely. It gets the caps clean and any yucky stuff from the inside washes right out. Very good product. Great way to extend the life of caps too dirty to ever think of wearing again! Gets caps clean and retains its shape. Instructions state to put it in the washing machine; however, like others have stated I tried the dishwasher first (top shelf). The holder is less likely to be damaged there and the caps come out clean. I wish I would have bought more with this order to give to others. Anyone who wears a baseball cap often should get one of these. Had to replace my old one. Great product. Wore out my old one & had to replace. It truly works and it keeps it's shape. Love this and I would recommend it to everyone. I have had one before& it works great. It works great in the dishwasher. 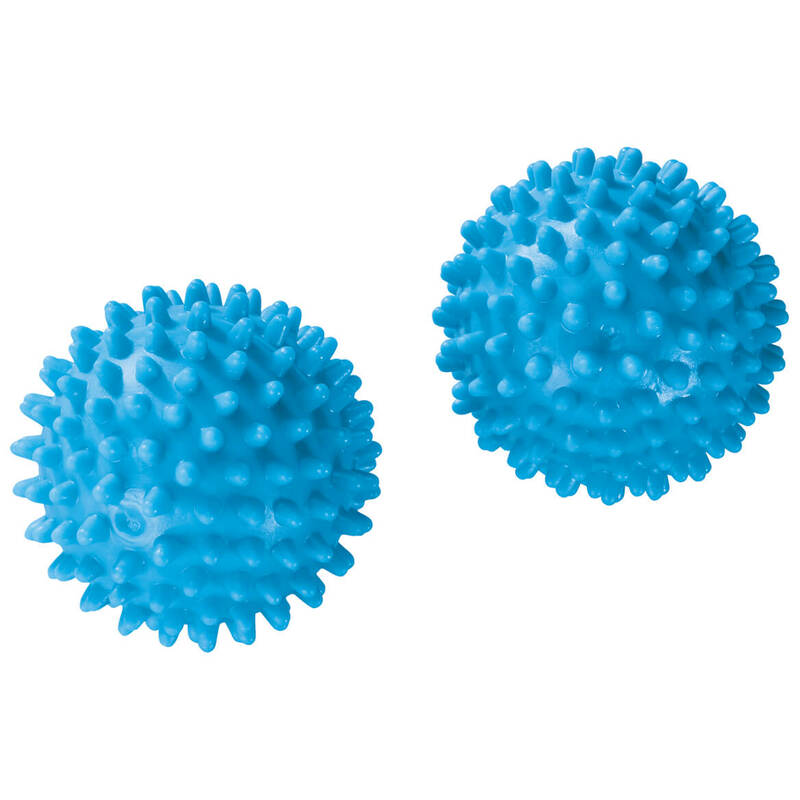 I hve used them before and they work. The cap cleaner works especially well in the dishwasher. Soiled ball cap came out looking brand new! Very satisfied with product. Works great in the dishwasher! Had been searching for this item for some time, was pleased to find in your catalog. Order, [...] and IMMEDIATE use - the treasured John Deer cap came out of the washer looking good as new! I have used this to was several of my husbands hats, but use it only in the dishwasher, they all came out very clean and ready to use. I have had a product like this before but used it in the washing machine.......needless to say it did not work in the washing machine. I have used the cap cleaner years ago, but over time it just broke. Could never find another one until I spotted it in the Miles catalog. It is great for washing the hats without them losing their shape. Just place the hat inside and toss in the washer. I normally leave the hat in the cap cleaner and place on counter top to dry to help with its shape. Stayed together, great outcome. Glad I purchased it. Just click it open, place the dirty cap, click it closed and place it in the washing machine. The cap comes out looking like new! I ordered 2 of the "Cap Cleaners" to replace an existing one I had. My husband wears a cap for working outside, in his woodworking shop, and lots of other times. His caps get so dirty, and with this frame, I can wash the caps and not worry about the size changing. It is a wonderful item, and I cannot imagine being with out it. We have used one for over 10 years. My brother has ruined so many hats by washing them in the machine. I think he's going to love this... It's so easy a kid could do it and not ruin the hat. It was so simple to use! 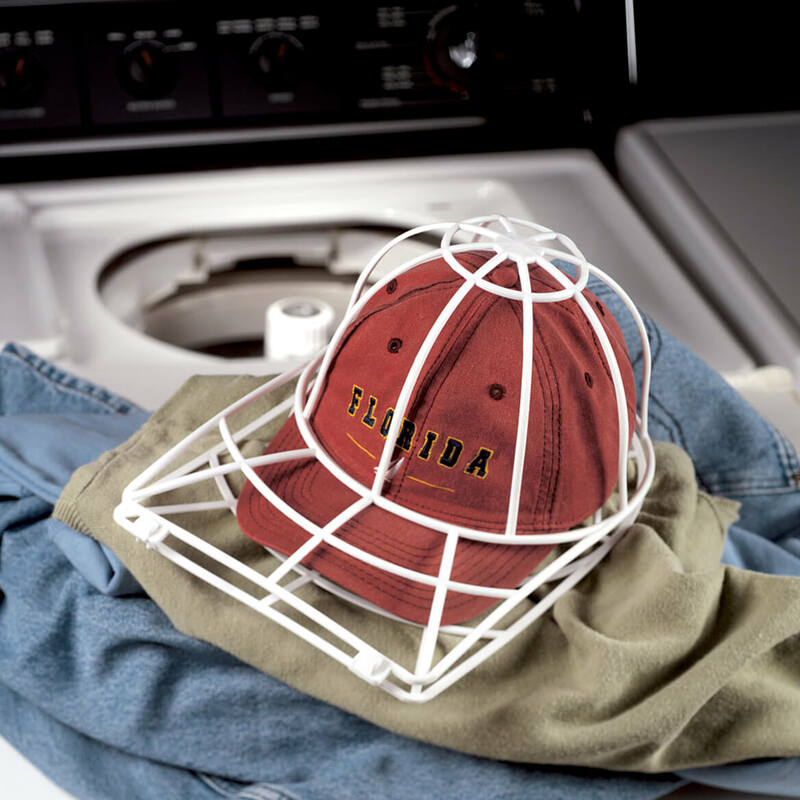 We placed the baseball cap in the cleaner, then just tossed it into the washer started the cycle and when it was done the clean cap in the cap cleaner was clipped to the clothesline and nicely dried in the warm California sun.We couldn't be happier with this product! We've been pulling out all our caps and finally washing without destroying them!!!!!!!!! Have looked for s.th. like this forever! Have looked for something like this for ages to clean a baseball hat that I acquired from a friend and want to give to another friend but couldn't figure out how to launder without hat falling apart. Haven't tried it yet, but am sure it will work great! Don't know yet if I will recommend it to others, but I suspect it will if it does what it is supposed to! Baseball hat protector used to wash hats. This product is a great help when washing caps and helps keep their shape. I immediately had a less than positive opinion of the cap cleaner because I received it broken. It would have been a hassle for me to return it. I can tape or glue it, and hope it holds up in the washer. It actually worked, but it's a little big for my regular size washing machine. I have used it only once so far but it worked just fine. I was afraid I was going to break the plastic latch connections before getting them open but it worked out okay. I understand that the latches have to be very secure to withstand duty in a washing machine. The only downside of this product is that the area where the brim of the hat sits is too flat for the curve on most of our hats. I noticed, however, that the hat's brim stayed curved after washing. A good way to extend the life of a favorite cap. Hadn't seen one for years. 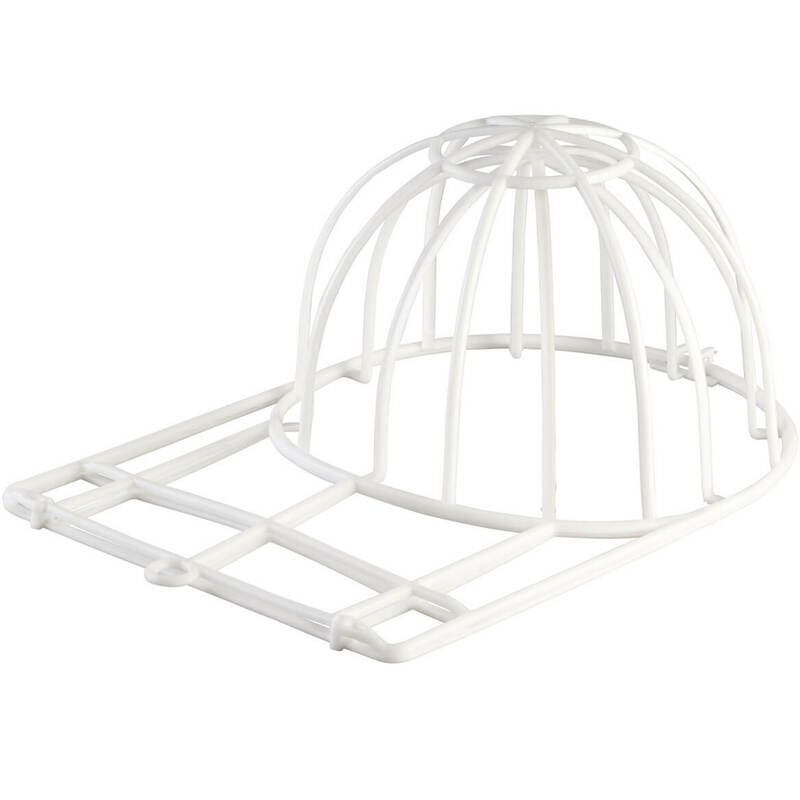 We just moved and cannot find my old cap holder ordered this one, not as good as your previous cap holder after I got some wire ties to secure the sides it did not open up again. Easy fix for a great invention. The clasp that holds it together is fragile. Easily replaced with a twist-tie, so no big deal. Works well in the dishwasher, my clothes washer would destroy it, in my opinion. Best used in with lightweight laundry loads. It definitely keeps cap maintaining their shape. Just be cautious in what you wash your caps with in reference not only for the cap but in order to maintain the cap frame so that it doesn't break. Amazing and easy way to get those old hats looking new again! Everyone laughed when they saw these, but using them made believers! Great way to clean caps. My brother loves different company caps and this is a good way to keep them clean. Used it in the dishwasher and it did a great job! Wanted to see if it helps keep your cap in shape. They have the best value. I have several all caps and need something to keep them straight while washing! My son was asking me if I still had one, and I don't. NOT SEEN ANY WHERE ELSE. Excellent way too keep caps form fitting and clean. Need to wash husbands baseball caps and wanted something to protect the hat while washing. I have one of these cap cleaners and have ordered 2 more so I can put 3 hats in the dishwasher! Our baseball caps fit perfectly on the forms and are easily placed securely in the upper racks of the dishwasher - such a great way to extend the enjoyment of a favorite hat - after a cleaning and dry cycle, the caps look brand new ... we hang them outside to fully air dry before wearing. Best way to clean ball caps! Easy way to clean caps. I picked this item because I'm a hat wearing person. But when it's time to wash my caps they always get bent out of shape in the washer. I wanted to try this item. Hopefully it fixes the problem. Ruined my old one in the dryer. Works great for ball caps. Hats are always dirty and sweaty and this works pretty well. For my brother who wears a lot of different hats. My husband has old caps that he refuses to throw away. THEY NEED TO BE CLEANED! I already own one and it works. THIS would help keep shape of the hat instead of tossing the hat into the washing machine. I have a man who needs some clean ball caps! My husbands been begging me for one. This seemed to be the only palce I could find it. My husband & I have several hats that need to be cleaned, so I thought I would try this before throwing them out and purchasing new ones. My son wears baseball caps all the time, and we had one of these years ago and it worked really well for washing caps. To wash my husband's dirty golf caps. Hair loss covered by collection of caps which occasionally need cleaning. my family has many baseball caps and this has the ability to retain shape. I chose this because my husband has a lot of caps that are difficult to keep in shape when washing. Husband has many hats that need cleaning. can it be used in front loading washer? BEST ANSWER: That is where I use it only, it always works great. We have top loading washers in our family.